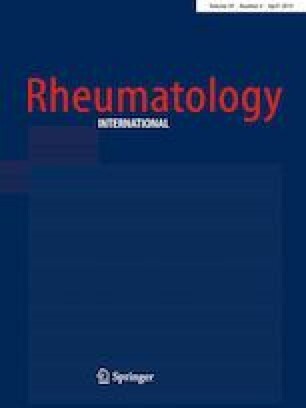 We aimed to assess the immunoregulatory effects of secretory factors produced by adipose tissue-derived MSC (AT-MSC) on Th17 and Treg subsets from patients with rheumatoid arthritis (RA). 17 patients with active disease matching the ACR/EULAR 2010 criteria for RA were included. Patients’ peripheral blood mononuclear cells (PBMC) were cultured in AT-MSC-conditioned medium (AT-MSCcm) and in control medium. The cytokine production of AT-MSC and PBMC was quantified by ELISA. Th17 and Treg were determined by flow cytometry. AT-MSCcm contained: IL-6, IL-17, IL-21, CCL2, CCL5, IL-8, sVEGF-A and PGE2. Cultivation of patients’ PBMC with AT-MSCcm increased TGF-β1 (8318 pg/ml; IQR 6327–11,686) vs control medium [6227 pg/ml (IQR 1681–10,148, p = 0.013)]. PBMC cultivated with AT-MSCcm downregulated TNF-α, IL-17A, and IL-21 compared to control PBMC: 5 pg/ml IQR (1.75–11.65) vs 1 pg/ml (IQR 0.7–1.9), p = 0.001; 4.2 pg/ml (IQR 3.1–6.1) vs 2.3 pg/ml (IQR.75–5.42), p = 0.017; 66.9 pg/ml (IQR 40.6–107.2) vs 53 pg/ml (IQR 22–73), p = 0.022. Th17 decreased under the influence of AT-MSCcm: 10.13 ± 3.88% vs 8.98 ± 3.58%, p = 0.02. CD4+FoxP3+, CD4+CD25−FoxP3+, and CD4+CD25+FoxP3+ was 11.35 ± 4.1%; 7.13 ± 3.12% and 4.22 ± 2% in control PBMC. Accordingly, CD4+FoxP3+, CD4+CD25−FoxP3+, and CD4+CD25+FoxP3+ significantly increased in PBMC cultured with AT-MSCcm: 15.6 ± 6.1%, p = 0.001; 9.56 ± 5.4%, p = 0.004 and 6.04 ± 3.6%, p = 0.001. All these effects could define MSC-based approaches as adequate avenues for further treatment development in RA. Research concept and design: DK. Methodology: EI-T, MI. Data curation: GV. Investigation: GV, EK, KY, MI, RS. Data analysis and interpretation: DK, GV. Project administration: GV. Validation: DK. Writing the article: GV. Critical revision and editing of the article: DK, MI, EI-T, EK. This work is a part of the doctoral thesis of Georgi Vasilev MD and was supported by Medical University of Sofia under the project ‘Young Investigator’ No: 7679/21.11.19, contract No: 128/2018. Authors report no conflict of interest concerning this article. All experiments performed in this study involving human participants were approved by the institutional and national research committee and complied with the Helsinki Declaration of 1964 and its later amendments (2008). Voluntarily signed informed consent was obtained from all participants in accordance with the ethical recommendations of the Helsinki Declaration before entering the study.